Any customized product or service must meet the customer's specifications, stand out as one-of-a-kind, and at the same time, should show character. High performance flooring solutions providers in Sugar Land, such as Inspired Floors, hold the customer at the center of their business with these pointers, so that they can enjoy a flooring solution exclusively of their choice. 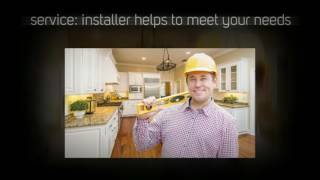 Service: The best way for custom floor installer here in Sugar Land is to meet the customer's needs is by meeting them one-on-one. This way your ideas and plans can receive the necessary direction with the advice of special consultants. Too many choices can be confusing; so a little expert help can help you avoid making wrong choices. Dedicated customer services and professional staff from a flooring showroom here in Sugar Land are paramount to business success. They need to pay attention to the vision presented by any homebuilder and remodeler (professional or amateur). Selection: You can get just about any flooring that suits your home with a variety of materials like carpets, wood, laminate and tiles at a dedicated floor store here in Sugar Land. Modified sizes and shapes, and tailored designs and patterns give a whole new meaning to diversity. Also, how can you go wrong with branded selection perfect for any room? Satisfaction: For guaranteed customer satisfaction, customized flooring products and services should meet customers' specifications. Quality plays a big part in satisfying people too and maintaining a standard definitely helps. Power of testimony: Before making any purchase consider researching a flooring showroom on critical parameters such as quality of materials, ETA adherence, and quality of workmanship. You get multiple avenues online (community forums, business listing sites such as Yelp) and in your neighborhood to check for a company's past track record and then make an informed decision based on these insights. Through their impeccable service and high standard flooring products, renowned agencies in Sugar Land TX, such as Inspired Floors has earned good reviews and repeat customers. Why shouldn't you join this growing community and enjoy superior flooring solutions?